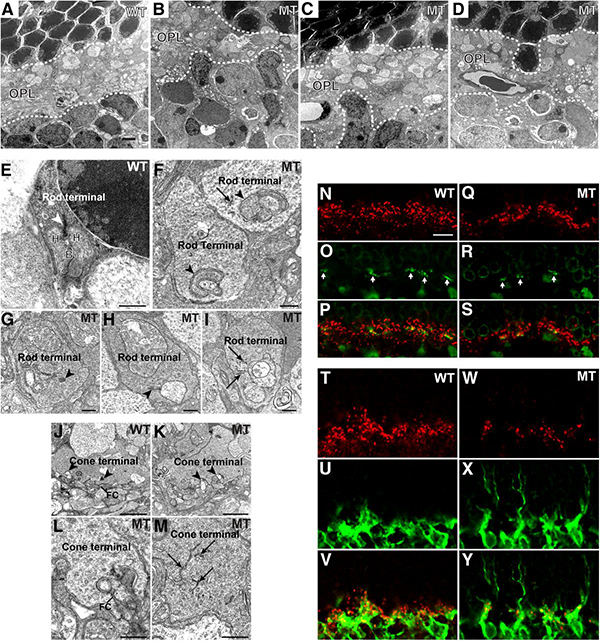 This paper by Yumiko Umino, Nicolas Cuenca, Drew Everhart, Laura Fernandez-Sanchez, Robert B. Barlow and Eduardo Solessio examined late onset retinal degeneration in a model of diabetic retinopathy. Specifically, this manuscript attempted to examine the impact on retinas from the Gcgr knockout mice with long term high dietary glucose to see if that rescues retinal structure and physiology in the aged animal. Interestingly, prolonged exposure to to the diet induced euglycemia did improve retinal function, but did not result in re-restablishement of synaptic connectivity lost in hypoglycemia. The curious part about this is that there seems to be an ability to maintain metabolic status in these animals over long periods of time in spite of the loss of the synaptic connectivity.